The director of the Public Affairs Reporting (PAR) graduate program is Professor Charles N. Wheeler III, a veteran newsman who came to the University of Illinois at Springfield following a 24-year career at the Chicago Sun-Times. Wheeler covered state government and politics for the Sun-Times since 1970, when he covered the Sixth Illinois Constitutional Convention. For the last 19 years of his Sun-Times tenure, Wheeler was assigned to the newspaper’s Statehouse bureau. During that time, he was elected to 16 consecutive one-year terms as president of the Illinois Legislative Correspondents Association and served for many years on the PAR program and admissions committees. Since 1984, he has written a monthly column for Illinois Issues magazine, which has won five Capitolbeat awards for magazine commentary/analysis. 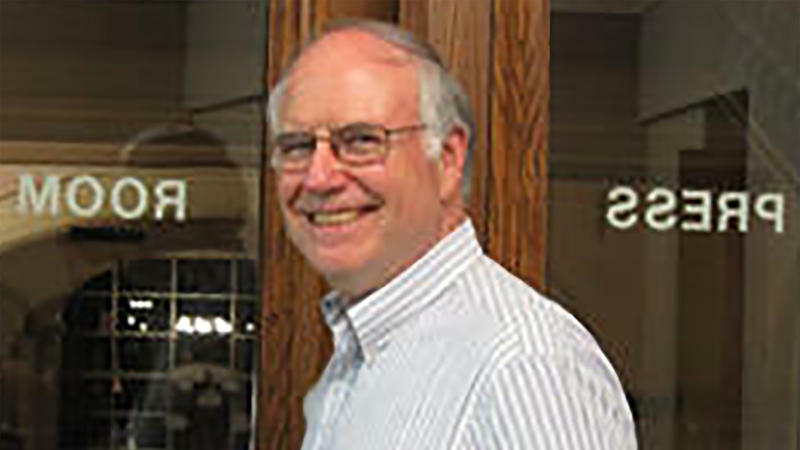 In 2006, the Illinois Associated Press Editors Association inducted him into The Lincoln League of Journalists, which honors men and women who have provided exemplary service to other journalists and to daily newspapers published in Illinois. In 2013, he was chosen as the Journalist of the Year by the Journalism Department at Eastern Illinois University. He is also a regular on the panel for State Week, WUIS' weekly political analysis program that airs on public radio stations across Illinois. Before joining the Sun-Times in 1969, Wheeler served more than three years as a U.S. Peace Corps volunteer in the Republic of Panama. He is a graduate of St. Mary’s University, Winona, MN, majoring in English, and received a master’s degree in journalism from the Medill School of Journalism at Northwestern University. Wheeler draws on the talents of many UIS faculty with expertise in such fields as public budgeting, political science, and communication, as well as professional journalists and state officials, to present students with a well-rounded program to bridge the academic and professional areas. The Illinois General Assembly is still weighing what to do in the wake of Gov. Bruce Rauner's veto of the Democrats' new approach to how the state sends money to schools in Illinois. Meanwhile, Comptroller Susana Mendoza is urging Rauner to get going on issuing bonds to begin paying down the backlog of bills. The Illinois General Assembly returns to Springfield as the clock ticks down to the new fiscal year July 1. Will Illinois begin a third fiscal year without a real budget? Is Gov. Bruce Rauner really interested in "compromise" ? And are Democrats willing to meet his demands? State Week: Special Session — Real Movement Or Just Marketing? Gov. Bruce Rauner has called 10 special sessions on the budget for the final days of the month. For the first time, he's publicly endorsed a specific set of tax increases to accompany the non-budget demands he's been making since he came into office. Does this represent real movement? Or is it just marketing? Illinois Issues: What’s It Gonna Take To Get A Budget? 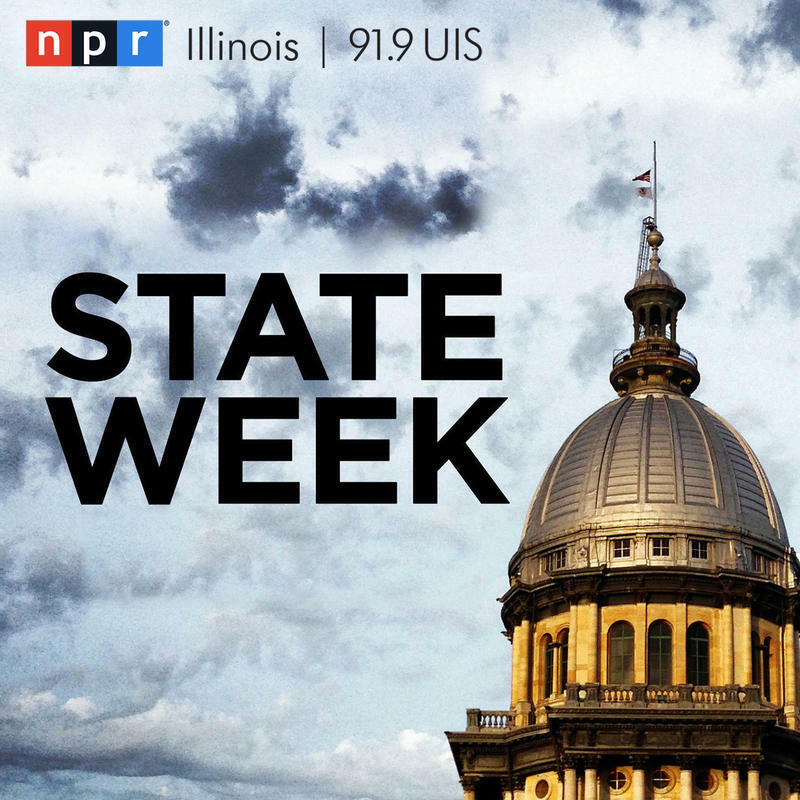 State Week: Could Illinois Really Default? A federal judge says Illinois has to prioritize payments for Medicaid providers, but the state doesn't have enough revenue to meet its spending obligations. Could Illinois soon run out of money? 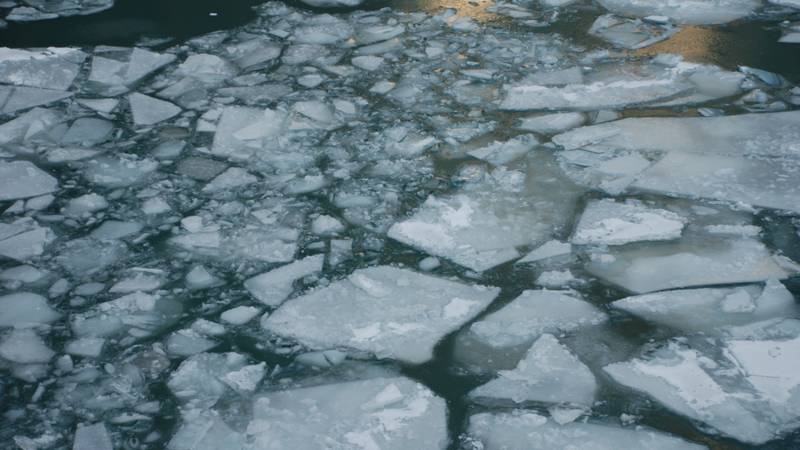 Does the market really think Illinois could default on its debt? Senate Democrats go it alone on a tax hike — will their House counterparts follow suit? And what happens if legislators don't pass a budget by the scheduled end of session on May 31? Senate Democrats hold another set of votes on what was once referred to as the "grand bargain," but Republicans say the deal isn't there yet. Can anyone in Springfield trust anyone else long enough to make something happen? Meanwhile, Democratic gubernatorial candidate J.B. Pritzker is under attack by Republicans over his property taxes. Senate Democrats tried — and failed — to force votes on the so-called grand bargain. What are the prospects for a budget deal before the Illinois General Assembly's scheduled end-of-session on May 31? Meanwhile, Gov. Bruce Rauner was booed when he appeared at the commencement ceremony for Chicago State University — the public university arguably hit hardest by the 22-month stalemate over taxes and spending in Illinois government. “Let’s get a truly balanced budget ... ” Gov. 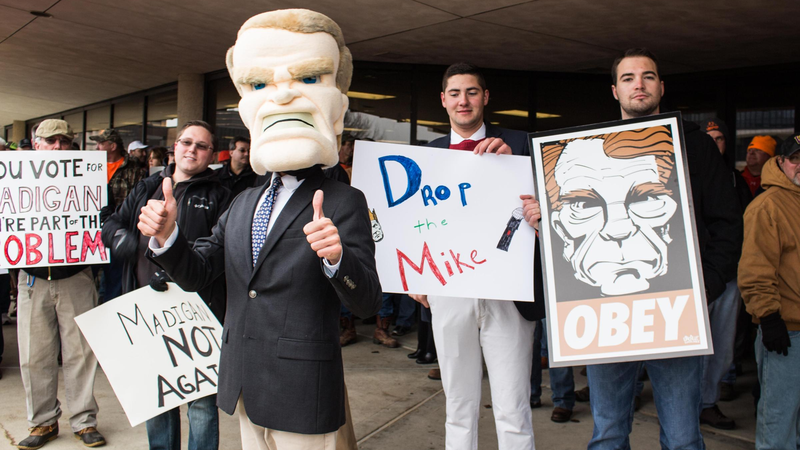 Bruce Rauner and his aides, in various venues on numerous occasions, 2015-present. Illinois has gone 667 days without a budget. Asked to grade his performance in office, Gov. Rauner gave himself an A for what he could do without legislative support. Meanwhile, House Speaker Michael Madigan requested a meeting with Rauner — thought to be their first in nearly 6 months. And between 1,500 and 2,000 women marched on the Capitol in support of Democratic policies and candidates, as House Democrats sought to highlight Rauner's contradictory positions on abortion rights. Gov. Bruce Rauner says he'd veto legislation seeking to protect the right to abortion in Illinois. Pro-abortion-rights activists say that's a change of position from what Rauner told them as a candidate in 2014. Meanwhile, S&P and Moody's say the budget impasse, approaching 22 months, is hurting the credit worthiness of state universities. As public universities face fiscal emergencies and domestic violence shelters are closing, House Democrats approve what they call "lifeline spending." Republicans object, saying it relieves pressure on legislators to pass a comprehensive state budget. Meanwhile, billionaire businessman J.B. Pritzker formally declares his candidacy for governor. Will the Democratic primary be a story of David vs. Goliath vs. David vs. Goliath vs. David? There are reasons for legalizing industrial hemp. 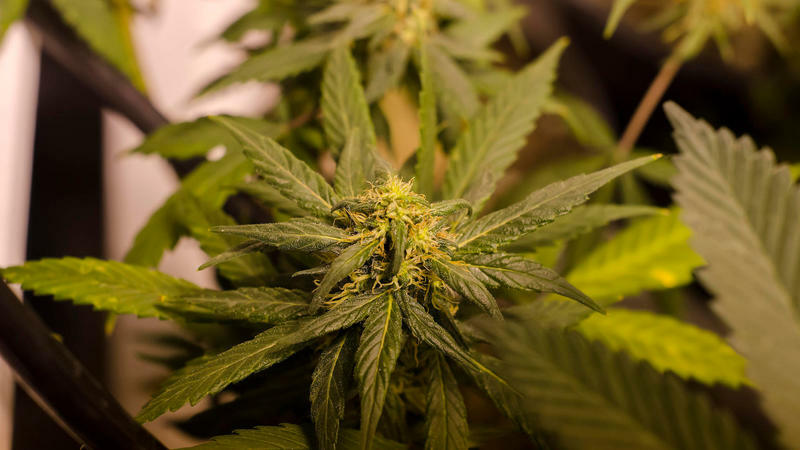 Might pot and ditch weed help ease the state's financial crisis and boost its farm economy? A month after Gov. Bruce Rauner conveyed to Republicans his opposition to the grand bargain, Senate Democrats are rejecting his attempt to break off pieces of the deal. 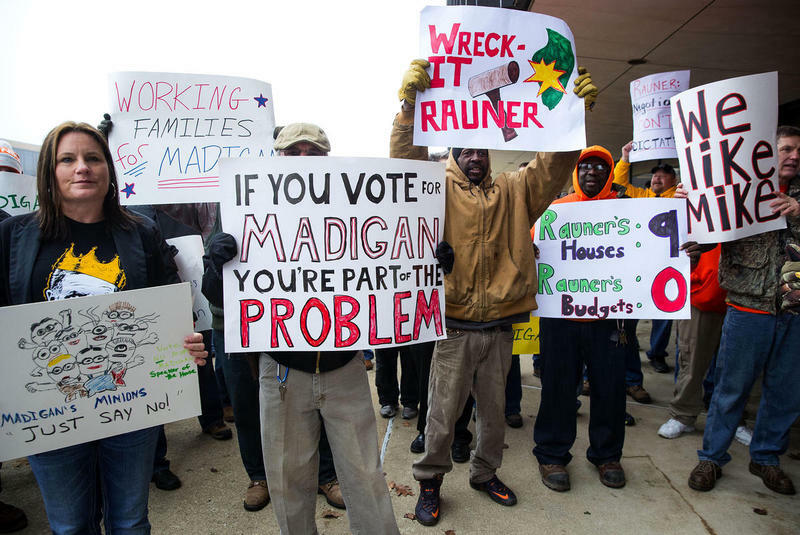 Meanwhile, Democrats are offering a "Comeback Agenda" as an alternative to Rauner's "Turnaround Agenda," and House Speaker Michael Madigan is taking public offense to some of the governor's remarks. Republican senators working with Gov. Bruce Rauner began breaking off pieces of the "grand bargain," which Democrats say undermines efforts to move toward a compromise budget. Meanwhile, what had been a bipartisan selection process for Illinois' U.S. attorneys is changing, with senior Republican Congressman John Shimkus saying he's waiting for the Trump administration to advise him on how to proceed. As Illinois enters its 21st month without a real budget, several questions occupy observers of state government: Is the state Senate's "grand bargain" dead? If so, who killed it? Where do we go from here? And has anyone heard from the Illinois House of Representatives? There are serious consequences under Gov, Bruce Rauner's tax proposal. State Week: Will AFSCME Strike? Members of AFSCME voted overwhelmingly to give the union's bargaining committee the power to strike. The union has been in a contract fight with Gov. Bruce Rauner for more than two years. Rauner has tried to impose his terms, saying they're a fair deal for both workers and taxpayers. Meanwhile, in the week following the governor's budget address, Rauner did little to support or defend his plan. Gov. Bruce Rauner issued his third budget proposal to the General Assembly this week (potential deficit: $7.2 billion). Meanwhile, a St. Clair County judge declined to rescind his order paying state employees even without the legislative authorization required in the Illinois Constitution (cost so far: $3 billion). That, a remembrance of the late Peoria Congressman Bob Michel, and more. Lawmakers introduced competing plans to make sure state employees can remain on the job even if there's no end to the state budget standoff. Meanwhile, Gov. Bruce Rauner is refusing to say whether he approves of the incipient budget compromise being worked out in the state Senate. And what does it say about the future of the downstate economy that Caterpillar Inc. is moving several hundred top jobs from Peoria to the Chicago area? Attorney General Lisa Madigan is asking a St. Clair County judge to stop state employees from getting paid without a legal state budget. Could the move force a resolution of Illinois' 19-month budget impasse? Meanwhile, Gov. 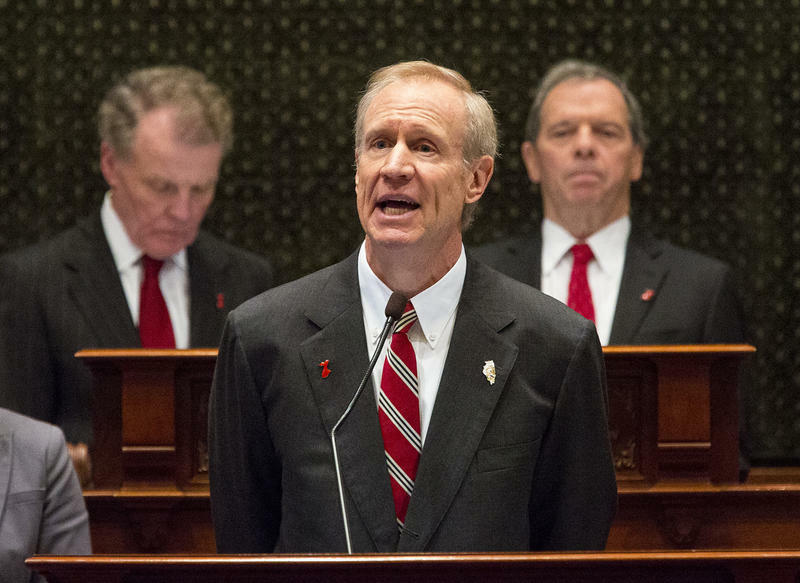 Bruce Rauner gave his annual State of the State address. And Rauner, Chicago Mayor Rahm Emanuel, and President Donald Trump engaged in a multimedia war of words. This week, more talk of a potential bipartisan compromise on reaching a budget agreement - in the Senate, at least. Governor Bruce Rauner isn't commenting on it, however. Matt Dietrich of Reboot Illinois and Tony Arnold of WBEZ Public Radio join the panel. This week saw the inauguration of a new session at the Statehouse - the 100th General Assembly. Will this new term be able to solve Illinois' long-standing budget crisis? Chris Mooney, Director of the University of Illinois' Institute of Government and Public Affairs, and Lee Enterprises' Dan Petrella join the panel. Illinois legislators are returning to Springfield for the final few days of lame duck session. Will there be a grand compromise? And what's the deal with the Illinois Republican Party's interference in the Democratic race for speaker of the House?